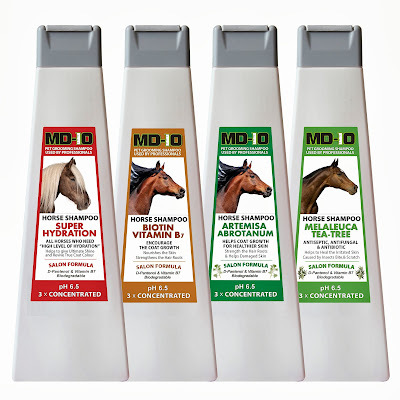 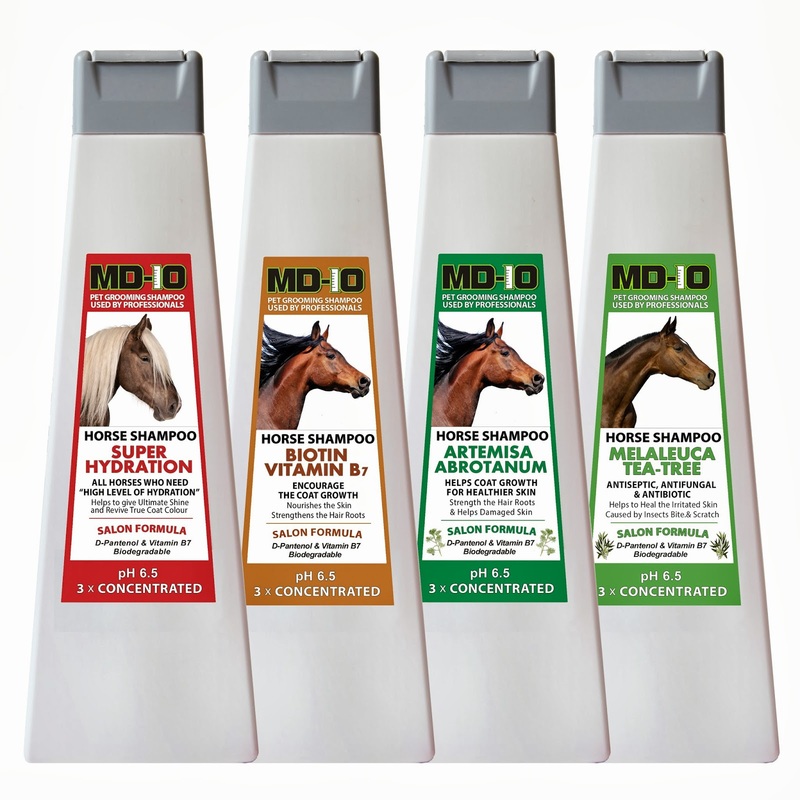 MD10 TOP QUALITY HORSE SHAMPOOS HAVE ARRIVED! 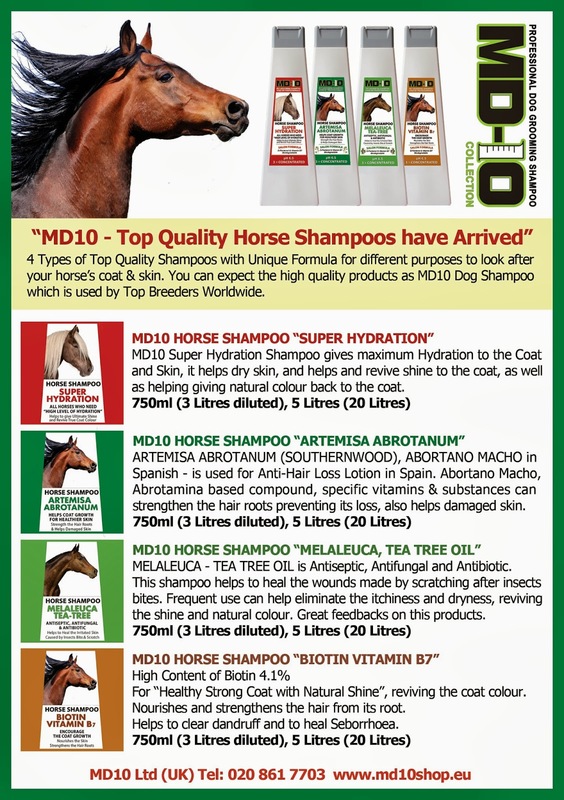 I have been trying to produce the new MD10 Horse Shampoo range for a long time, now it has nearly done except the spelling check etc. My 2 clients gave me feedback with great photos, so, it looks nice! 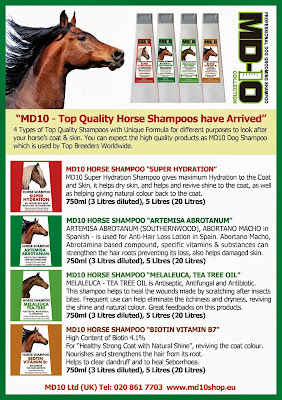 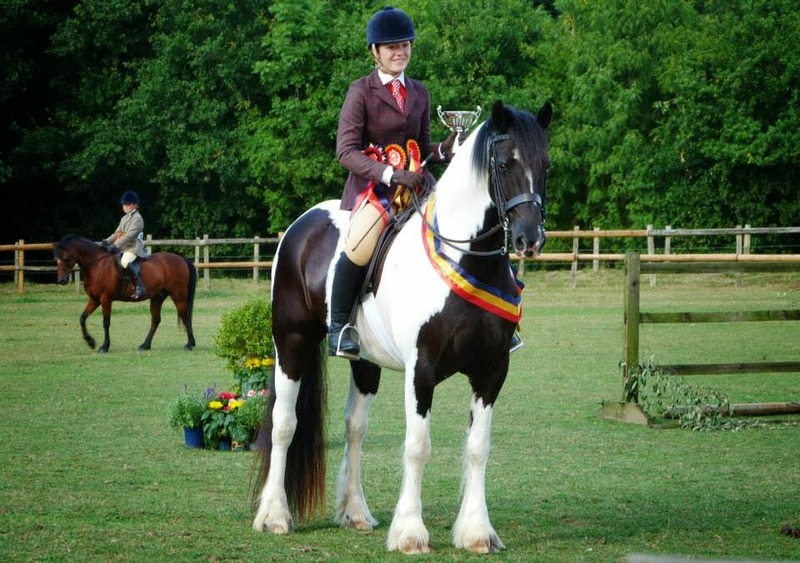 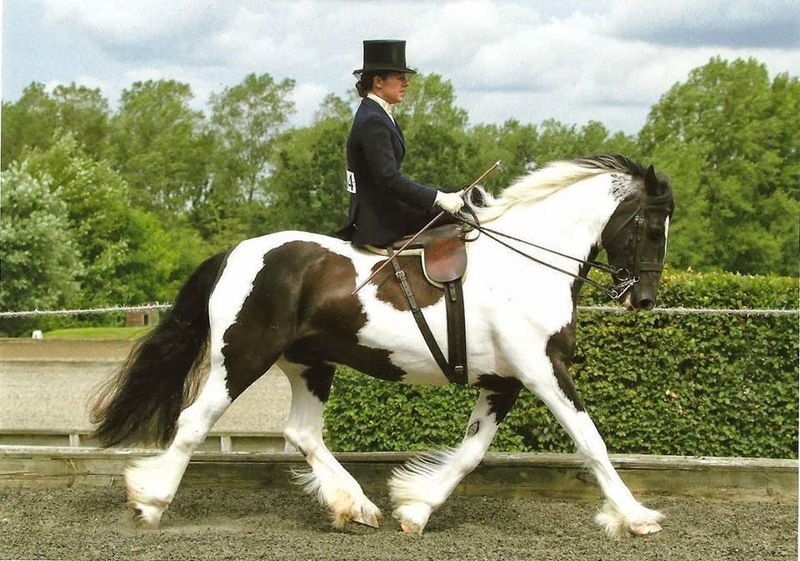 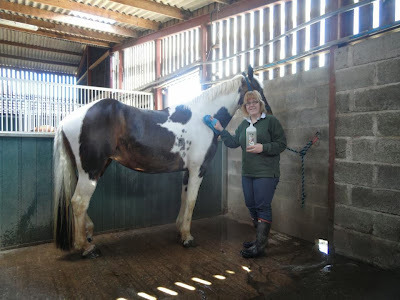 4 Types of Top Quality Horse shampoo are well accepted and I am sure they will be very popular once they tried. 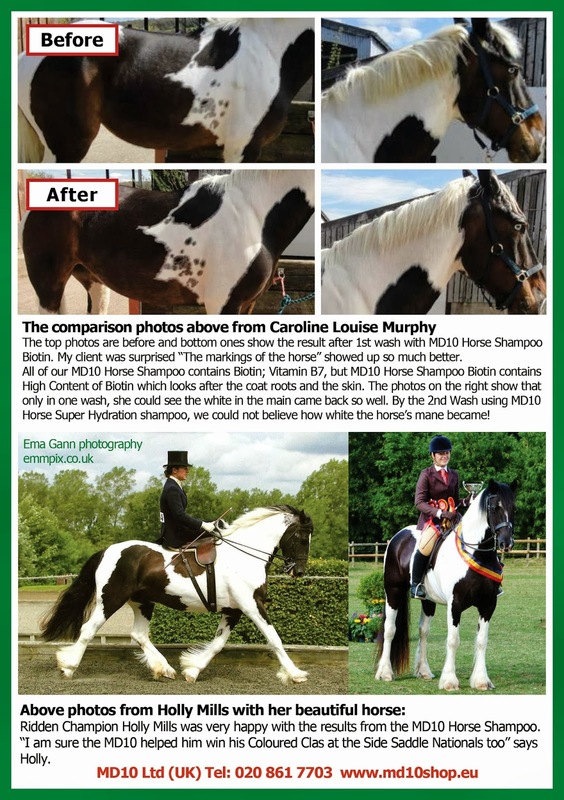 Caroline helped to take great before and after photos. 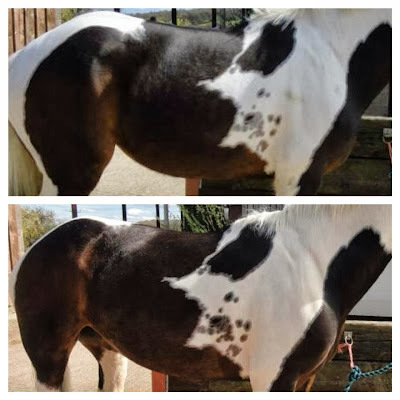 You can see the marking came out really clearly with the first wash!